Credit Courtesy of St. Elias Brewing Co.
Where there's smoke there's good beer flavor and let's hear it for the women in brewing history. Bill also checks in with Bleeding Heart Brewery in Palmer and get details about the Cooper Landing's plans to build a new brewery. 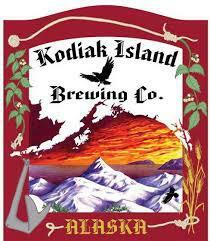 This month, Bill reports from the eighth annual Kenai Peninsula Beer Festival and compares the craft brewing industry in Maine vs. Alaska.